Found a webpage, image, or quote that you want to save for later? 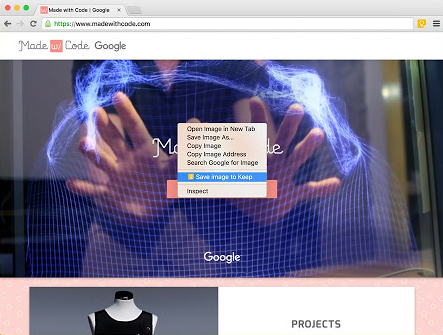 With the Google Keep Chrome Extension, easily save the things you care about to Keep and have them synced across all of the platforms that you use — including web, Android, iOS, and Wear. Take notes for additional detail and add labels to quickly categorize your note for later retrieval. Google Keep: Quickly saves task lists, important links, notes, reminders of appointments and appointments on your smartphone or PC, syncing across all platforms.